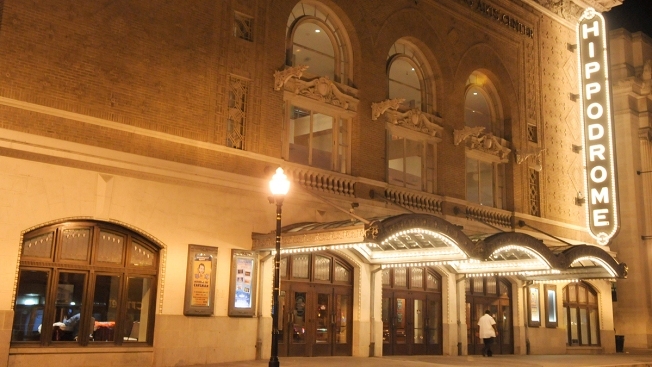 This 2009 file photo shows the Hippodrome Theater in Baltimore, Maryland. A man who yelled "Heil Hitler! Heil Trump!" at a theater performance of "Fiddler on the Roof" in Baltimore says he's sorry for the outburst. The Baltimore Sun reports that Anthony M. Derlunas II said in an interview with the newspaper that his comments were "beyond a mistake." The 58-year-old said he'd been drinking heavily before the show. Derlunas said the classic play, based on a Yiddish story that tells of a Jewish family persecuted in tsarist Russia, reminded him of President Donald Trump's immigration policies, which prompted his outburst.